I found this ridiculously adorable fabric last Summer on a family road trip to Lancaster (fabric heaven). 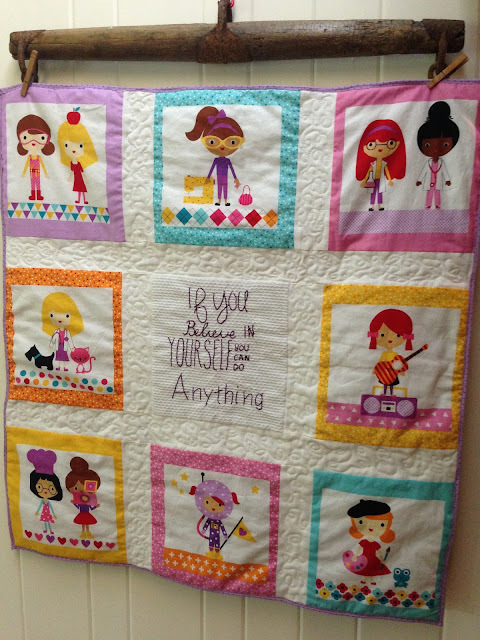 I knew the moment I saw it that I had to make a quilt for my little girl. 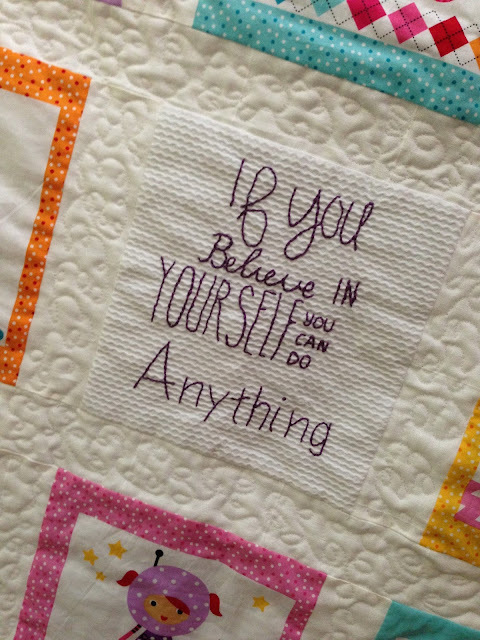 I cut the panel apart, pieced it back together with plain white fabric, and then embroidered in the center square "If you believe in yourself, you can do anything", which is what I want my little one to grow up knowing! To finish it off, I free-motioned the white fabric, making the colors pop more. She already loves it, which makes my heart happy. She sits and talks about all the girls and what they're doing and wraps herself up in it.